An agreement on the "fiscal cliff" may be near. On Friday, House Speaker John Boehner endorsed the idea of higher tax rates on upper incomes--a real concession that allowed serious negotiations to go forward. Over the weekend, he and President Obama spoke by telephone. On Monday, they met at the White House. They could reach an agreement within the next few days—not a detailed blueprint for legislation, mind you, but an agreement on the basic principles. Of course, all the usual caveat apply. Talks could break down all over again, congressional delegations could throw a fit, and so on. There would be new revenue, slightly in excess of $1 trillion over ten years. The money would come from households with high incomes; exactly how high is not yet clear. Republicans would have a chance to propose tax reforms that would raise some of the revenue by closing loopholes, rather than raising rates, but if they failed to construct—and enact—such a package then the money would come from tax proposals similar to the ones Obama has proposed, which focus mostly on higher rates. There'd be cuts to spending, somewhat larger than what Obama put on the table. The deal would call for adjusting cost-of-living increases in Social Security, known as the "chained CPI," but it would not raise the Medicare eligibility age. The rest of the cuts would be unspecified, left for Congress to work out on its own. Some kind of automatic cuts would kick in if Congress failed to find the money. Boehner also proposed an incremental increase in nation's debt ceiling, effectively giving Treasury enough borrowing power to cover the government's bills for the next year. The proposal is apparently getting a serious hearing at the White House, although that doesn't mean they'll agree to it. Boehner's proposal obeys a principle that Republicans established during the debt ceiling fight—that the ceiling should go up by only as much as spending comes down. It also avoids a fight over the debt ceiling in January or February. The deal would likely include some steps to help sustain the recovery—it would extend unemployment insurance, once again, and it would dedicate some money to infrastructure. It would also renew refundable tax credits that benefit lower- and middle-income Americans, a key feature of the fiscal discussions that have gotten very little attention. The deal would probably not renew the payroll tax holiday nor, from the sounds of things, would it include a substitute that provides a similar boost to the economy. 1. How much revenue would the deal generate? And from what sources? In an ideal world, all of the Bush tax cuts would expire, restoring rates to what they were during the Clinton era, with Congress passing only temporary breaks, benefitting the middle class, until the economy improves a little more. Since that seems unlikely to happen, the next best thing would be something like the Center on American Progress recently proposed. Its plan called for about $1.8 trillion in new revenue, all from upper incomes. Note that it wasn't a crazy liberal idea. Centrists like Robert Rubin and William Daley were among those backing it. 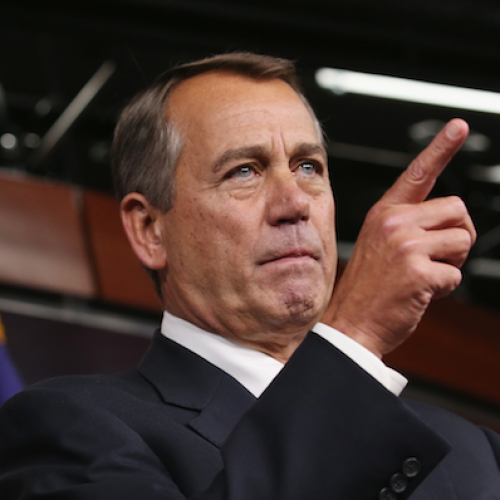 The Obama-Boehner agreement, as currently taking shape, would fall well short of that goal. On the other hand, this deal would generate more revenue than the Senate bill Obama has been urging House Republicans to pass—a bill that Obama promised to sign. And it would force Republicans to drop their opposition to allowing higher taxes on the wealthy. That's significant. 2. How big would the spending cuts be—and where would they fall? The starting point for any conversation on spending cuts should be the cuts Obama already signed into law—cuts o Medicare, via the Affordable Care Act, and cuts to all sorts of other programs, through the Budget Control Act. Discretionary spending, which includes the funding for everything from food inspections to border control, is set to fall below levels not seen in half a century. Funding for programs like Head Start won't keep up with population growth. On paper, the cuts for more cuts is very weak. Still, some cuts hurt less than others. Changing the formula for Social Security cost-of-living adjustments will reduce benefits, as my colleague Timothy Noah has noted. It makes a lot more sense in the context of a broader Social Security reform package, one that includes new revenue dedicated to the Trust Fund. But if it’s a choice between that change and raising the Medicare age, or further slashing discretionary spending, the Social Security benefits alteration is probably preferable—particularly if the deal includes modifications, outlined by the Center on Budget and Policy Priorities, that would protect the poor and older retirees. Perhaps the best way to judge the spending cuts is by their size, relative to the new revenue, and the way they treat different portions of the budget—in particular, defense versus non-defense. The distributional effect matters too. Those things are impossible to know right now. 3. What would it mean for the economy in the short term? The economy still needs help. The Obama Administration has shown an uncanny ability to attach modest stimulus to budget agreements, despite Republican opposition. Can they do it again? The extension of unemployment insurance would certainly be good news. The failure to replace the payroll tax holiday, on the other hand, would be worrisome. Again, the final numbers matter. 4. Would we be done with the debt ceiling or not? Obama had suggested he was determined to remove the debt ceiling as an instrument of legislative extortion; Boehner's offer, which is getting a serious hearing, would merely postpone the day of reckoning, setting up another fight a year from now. But, to my surprise, plenty of Democratic insiders see a one-year extension, or something like it, as worthwhile. They figure Republicans will be no more likely to crater the economy next year than they would be this year. In the end, evaluating the debt ceiling proposal—and the deal as a whole, should one emerge—depends a lot on your perception of the political environment, including public opinion and the mindset of House Republicans. There's no clear consensus on that, at least among the sources I usually consult. Boehner's indefensible goal here ("chained CPI") is to undermine Social Security benefits and a host of other critical programs, including for veterans. The AFL-CIO's bottom line remains clear and enjoys support from an overwhelming majority of Americans: a complete end of the Bush tax cuts for the rich and NO cuts to Social Security, Medicaid or Medicare benefits. Boehner's shown himself unwilling to work within that popular framework, and a delay in the next time the GOP ignores the Constitution and plays chicken with the debt ceiling is not worth violating our commitment to the United States' already too-stingy safety net. A trillion dollars in revenue mostly from upper income rates and a one-year debt ceiling increase is 75 percent of what we want. At some point you have to declare victory. Plus, I'm as tired as anyone of Boehner's excuses but the poor guy does actually have to get votes from those crazy people [in the Republican caucus] and this is a sh*t burger for them. UPDATE: Paul Krugman is hearing the same things and...reacting the same way as I am. At Politico, Carrie Budoff Brown published details on the latest White House counter-offer, which a source close to the negotiations subsequently provided to TNR. Those details include $1.2 trillion in revenue, with rates on incomes above $400,000 a year returning to Clinton-era levels, and a virtually identical amount of spending reductions. The spending reductions would include $400 billion in cuts to health care, $200 billion in non-health care mandatory spending, and $200 billion in discretionary spending to be split equally between defense and non-defense funding. Otherwise, the proposal would look like the one described in my item originally, except that the Administration wants a debt limit increase that would hold for two years, rather than one. One last note: I added the Jeff Hauser quote after publication, just to illuminate both points of view.